She is a hot red young thing making her big debut with a hot star son, who has proved his mettle in his dream debut. The star son is slated to be tommorrow’s superstar and the pretty young thing is thrilled to her maniacally manicured nails. And even more happy is the heroine’s mother. But that is another story. She is a light eyed stunner from across the border who had made history with her debut film where she had also sung. 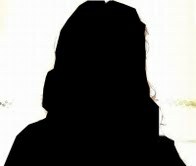 The actress who once had the most stunning face of Bollywood had been embroiled in a spate of affairs but allegedly alcohol abuse was what finally did her in—even her more-than-ample bosom couldn’t help her. She soon disappeared into the blue after some B grade films. Apparently the designer finally lost his cool and ( according to eyewitnesses) firmly told the demanding Mummyji that he does not touch other designer's work and 'he' is the official stylist of the film actors. At that the heroine's mother pouted and quipped.